Paranormal investigator, 28-year-old reality-TV star, author, former Penn State college student, bisexual celebrity; chances are good that however you choose to label Ryan Buell of Paranormal State , you're partially wrong. 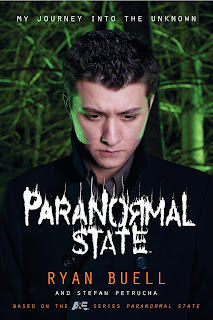 Like the paranormal, it is hard to define and explain Ryan Buell. Long before Buell was a TV ghost buster, he was a college student from Sumter, SC, at Pennsylvania State University, where he studied journalism and anthropology. Then, in December 2007, the founder of the college’s Paranormal Research Society became a celebrity when State premiered with 2.5 million viewers. Since then, the show has remained a contender amongst the reality-TV paranormal docudramas, and began its fifth season Oct. 19 with 1.4 million people tuning in. The success of Paranormal State, which airs Sundays at 9 p.m. on A&E, is attributable to a variety of factors such as adept cinematography, high production values, creepy settings and a rotating cast of compelling characters that has included twentysomething investigators Sergey, Heather and Psychic Kids star Chip Coffey. Yet the main focus of the show has always been on Buell. That focus on a brooding young man who has had a lifelong fascination with the supernatural and has been investigating since age 15, and with personal demons - as in a literal demon he believes was stalking him – has earned Buell countless fans and more than a few critics. Of course, the “normal” that Buell refers to is subjective; although he once described himself as “ordinary guy trying to make sense of this crazy world,” most people aren’t haunted by “bunnies” (the PRS word for demons), such as the one he says plagued him for years after a case in 2005. 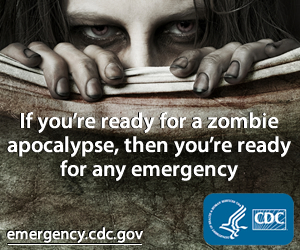 However, the investigator says there’s more to him than his very popular demon problem. As far as Buell’s beliefs, his also includes the Lochness Monster, the Jersey Devil, bigfoot and other “undiscovered creatures.” He says he’s open minded, but raises an eyebrow when people talk to him about leprechauns or fairies. On that point, Buell isn’t naïve about the fact that his paranormal profession is seen as slightly outside the mainstream, even if a recent survey from Colorado-based research firm Resolution Research found 30% of its 2,028 respondents reported having a paranormal encounter. Still, there is an element of crackpottery connected to paranormal investigations he isn’t shy about addressing. Yet Buell’s love of the nuttiness of his job, which he describes as a mix between journalism and detective work, doesn’t extend to the human element. In fact, he says he’s less frightened by the unseen world than some of his own clients or fans. Buell says he has heard from celebrity admirers of Paranormal State, such as Natalie Portman, Demi Moore, Kirsten Dunst or Kevin Kline – and along the way he mentions he’s gotten word of famous people who “had an exorcism performed on them privately” – he professes appreciation for his everyday fans. Although, he says his own celebrity leads to many odd fan interactions. The sexual solicitations involved with having a show aside, Buell does realize that his position in the public sphere allows him to affect positive change by speaking about his own bi-sexuality. After Entertainment Weekly reported on Sept. 13 that Buell “came out” in his new book, he says he heard it was reported positively on CNN, NPR, MTV and other outlets. Buell’s decision to come out, in a span of approximately five pages of the 372-page book, was related to his own awareness at age 13 while living in an intolerant Southern town. His family were practicing Catholics, as is Buell even today, and homosexuality seemed a sin greater than even murder – even to the loving paternal grandfather he looked up too. Added to that were the wounds inflicted by a fellow investigator and minor para-celeb “who got his start through PRS” and established Catholic church connections, only to use them to discredit and betray the Paranormal State star once he came out to the friend. He sums up his choice by pointing out “we live in a world where gay teens are still committing suicide,” and that his announcement wasn’t because of a desire to sell more books. Buell goes on to say, “There's no official statistic on the community of paranormal investigators, but it’s also a well-known fact Paranormal State does well in Middle America and in the South. These types of shows resonate well over there, in those types of areas - so, in those areas, where there's a lot or prejudice, there's a lot of homophobia and a lot of racism still. Since Buell’s book is just a “sliver” of his life, and includes behind-the-scenes insight on many Paranormal State cases, what might the next book contain? Buell says he can’t rule out future collaborations with former castmate Chip Coffey, the psychic/medium currently starring on Psychic Kids, also on A&E, on Sundays at 10 p.m. However, Buell says he has no interest in being on paranormal reality-TV forever, or even when he’s 30 – “so I guess two more years max” – but that he’ll always be involved in the field. Moreover, he has been taking over co-executive producer duties on his show, and he’ll be producing, but not starring in, Ghost Prophecies, a special he hopes will be picked up as a series. The special, which airs Nov. 28 at 11 p.m. on A&E follows the team of filmmaker and “American Ghost Hunter” Chad Calek. Buell calls this next project very “edgy and rock ’n’ roll” because it’s evidence based and follows “real” investigators who have been in the field for years. Between starring on TV, authoring a book and producing shows, it somehow makes sense why Buell would like to encounter the ghost of Alexander the Great. “A young man who did extraordinary things,” Buell says Alexander approached things differently and changed the world – a goal perhaps he plans on striving for himself. But whatever Ryan Buell chooses to do next, whether within or without the supernatural world, it’s a safe bet that any label applied to him might continue to be partially wrong and leave the man – like the paranormal field he investigates – indefinable. I could really care less about Ryan's bisexuality (so what)?? I think that he is a good hearted person involved in something that he feels deeply connected to. His show is definitely in the upper echelon of paranormal TV shows, but he has such an easy grace about him, an honesty that really comes through. And his friendship with Lorraine Warren, who adores him, and who, of ALL people can see thru bull***t, tells me that Ryan is the real deal.